Jane Corbin investigates how North Korea has thwarted international efforts to stop it becoming a nuclear power and looks at whether nuclear war is likely or not. Trump versus Kim - it is the most chilling nuclear stand-off for decades. 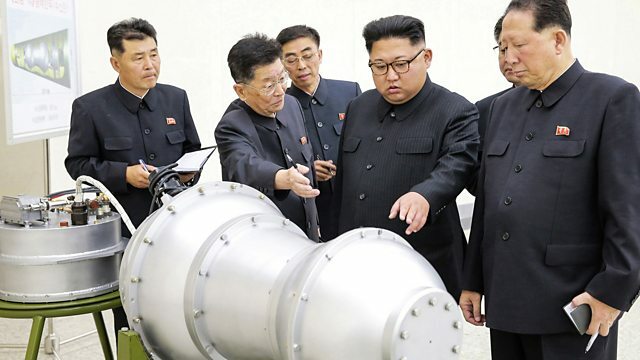 No longer is the world asking whether North Korea can be stopped from developing nuclear weapons, but instead whether it can be stopped from using them. As the two leaders trade threats, reporter Jane Corbin investigates how North Korea has dodged sanctions and thwarted international efforts to stop it becoming a nuclear power. She also asks how the two leaders can move back from the brink, and how likely it is this could all end in nuclear war?